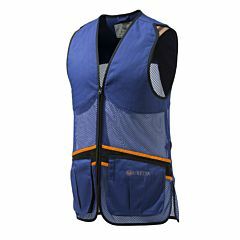 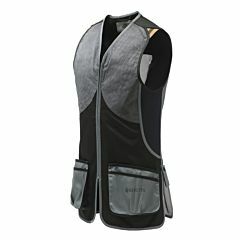 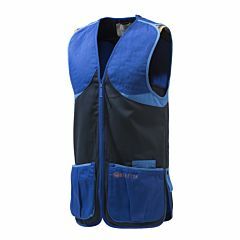 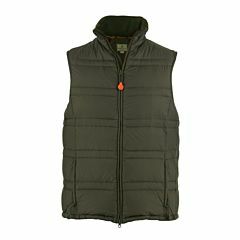 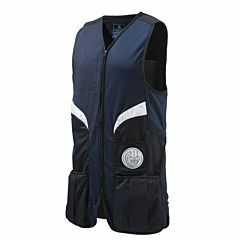 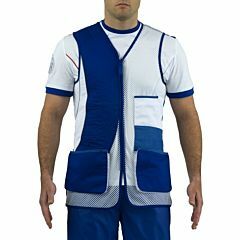 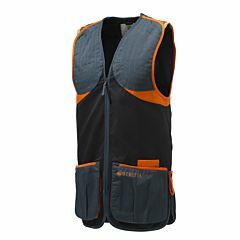 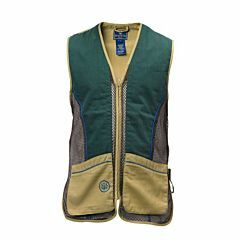 Ambidextrous Shooting vest with cotton padded shooting patches, contrast color piping and internal pockets for “Beretta Recoil Reducer” wich is included in the vest. 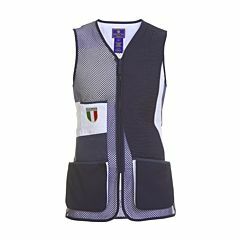 •Inner pockets for ”Beretta Recpol Reducer”. 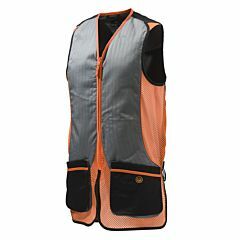 •Large front loading pockets expandable by snap buttons. 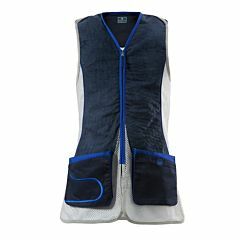 •Towel/earmuffs binding on the back. 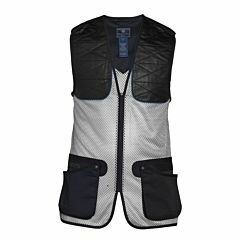 •Contrast color piping and embroideries.